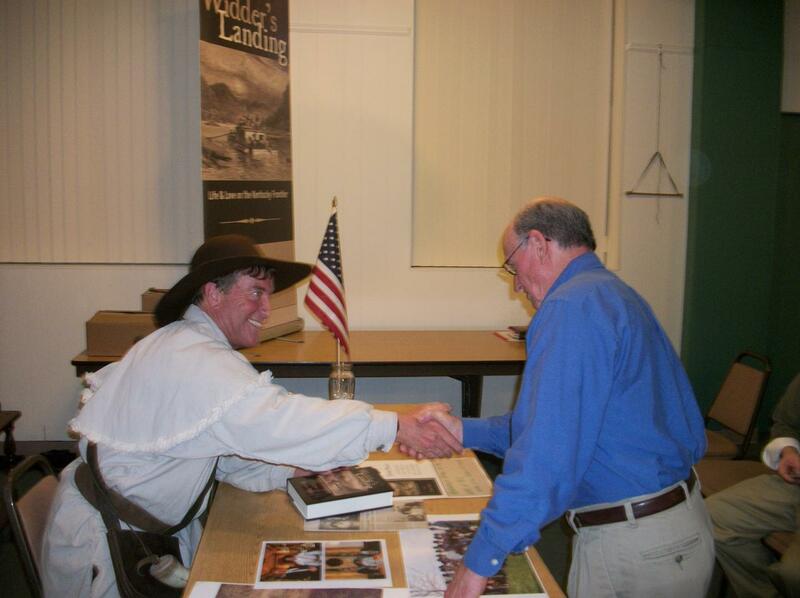 May 9 meeting of the Historical Society of Hopkins County featured Kentucky author Eddie Price whose new book Widder’s Landing is a novel of the War of 1812 set in western Kentucky. 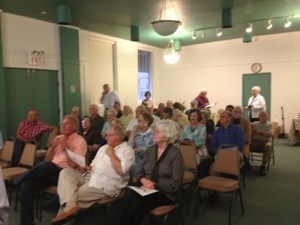 Author tour in Madisonville was a joint project with Historical Society, Genealogical Society and the Hopkins County Madisonville Public Library, so expecting a larger than usual crowd the meeting was scheduled for 7 pm at the Depot on Arch Street. 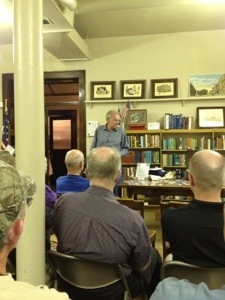 A crowd of over 40 enjoyed a lively presentation by this history teacher turned author. 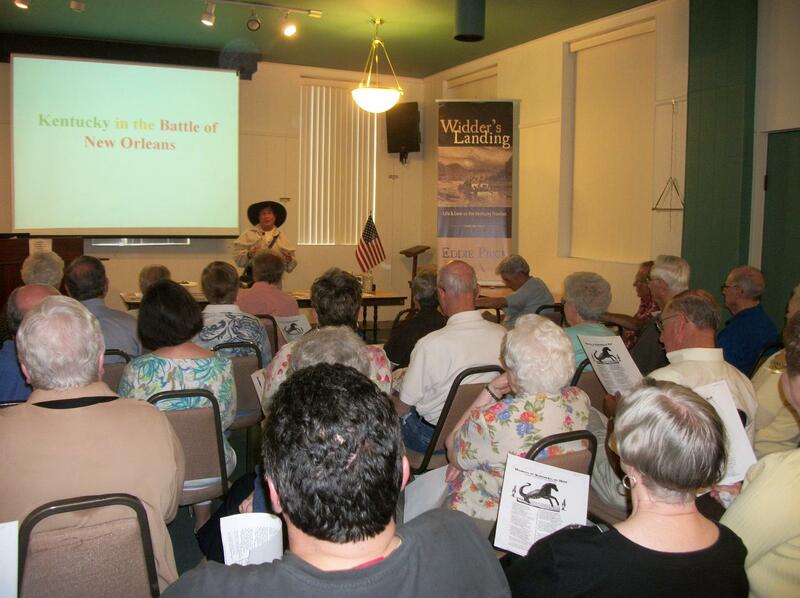 Christian County presenters were unable to attend due to health problems so County Historian shared details of the recent field trip he led to the burial place of Alonzo Pennington. Peyton Adams provided numerous photos for the group to see and some will be posted in our photo gallery.